Buddhism occupies a significant place in the academic curriculum of most educational institutions in the modern world. 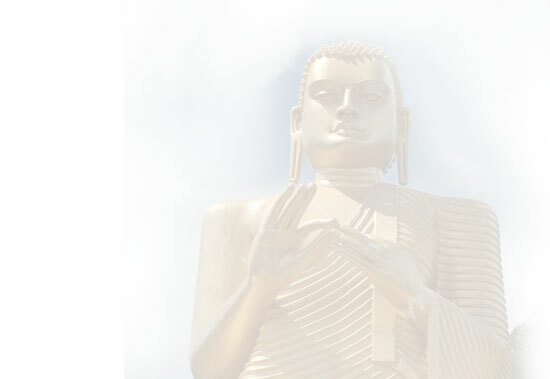 Sri Lanka has been a cradle of Buddhism for many centuries. Seventy percent of the people of Sri Lanka profess Theravada Buddhism as their religion. The University of Peradeniya from its very inception recognized the role it has to play in promoting Pali and Buddhist Studies in the University curriculum. Pali and Buddhist Studies have become established over the last five decades as the major disciplines in the Humanities field of the University. The study of Buddhism can be approached with the aim and objective of providing a philosophical alternative in the search for the meaning of life and opting for a more humane mode of living. However, in a University academic context this could be done from a non-dogmatic and critical standpoint that promotes tolerance of other points of view and dialogue with other alternative philosophies of life inculcating a value orientation in the learner that could eventually contribute to peaceful and harmonious living. "Do not accept anything because it is traditionally handed down as sacred scriptures.or is a conclusion of speculative reason.or is based on the authority of a teacher. When you know for yourself these things are wholesome and these things are unwholesome practice those that are wholesome and avoid what is unwholesome" (The Buddha in the Kalama Sutta). Copyright Department of Pali & Buddhist studies. All Rights Reserved.